We’d love your help. Let us know what’s wrong with this preview of Oscar by Matthew Sturgis. Oscar Wilde's life – like his wit – was alive with paradox. He was both an early exponent and a victim of 'celebrity culture': famous for being famous, he was lauded and ridiculed in equal measure. His achievements were frequently downplayed, his successes resented. He had a genius for comedy but strove to write tragedies. He was an unabashed snob who nevertheless delighte Oscar Wilde's life – like his wit – was alive with paradox. He was both an early exponent and a victim of 'celebrity culture': famous for being famous, he was lauded and ridiculed in equal measure. His achievements were frequently downplayed, his successes resented. He had a genius for comedy but strove to write tragedies. He was an unabashed snob who nevertheless delighted in exposing the faults of society. He affected a dandified disdain but was prone to great acts of kindness. Although happily married, he became a passionate lover of men and – at the very peak of his success – brought disaster upon himself. He disparaged authority, yet went to the law to defend his love for Lord Alfred Douglas. Having delighted in fashionable throngs, Wilde died almost alone: barely a dozen people were at his graveside. To ask other readers questions about Oscar, please sign up. The definitive Oscar bio to date. Well written and engrossing. 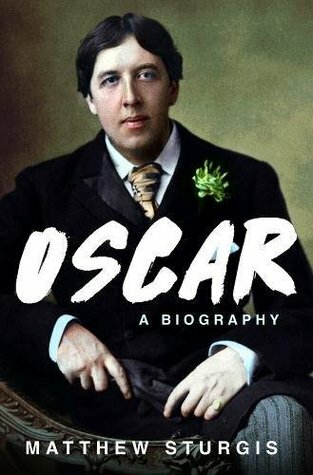 The author paints the clearest picture we have of the complexity of Oscar Wilde. Highly recommend it.